I was shaking when I set my right foot on the next step. One more step indeed and I would be able to shout to the world, “Hey I was able to reach a summit!” That mountain’s summit has a 360-degree view and for a “first-timer” like me, it was like a whirling sensation that I felt like I would have a tendency to fall. My knees almost got fainted upon reaching such peak. Oh, I did it! I sat in a huge rock perched at that top and bowing down, I breathed deeply for a while. Slowly, I started to observe around. Everyone’s face was painted with a genuine smile… or perhaps sensing an inner joy due to the achievement of such sweet success. Eventually, I was looking at the mountainous views. They were awesome! The sunrise, the rugged slopes, the view of the faraway city and the birds flying freely – what a great masterpiece to the eyes! The roaring sound of the wind gently touching my face and the singing voice of the birds --- what a sweet music to the ear! Now, that was a vivid memory of my first ever climb. After such courageous heart that brought me to that summit and five years later, my life was never the same. I have brought myself into many adventurous climbs and reached numerous summits beyond what I have imagined. I experienced an almost non-stop, lengthy and hopeless trekking that really tested my patience. I encountered a trail that looks like a wall in front of me where I had no options but to assault, survive and complete the climb. I’ve experienced to be soaked many times like a wet chick and get stuck in a village because of an inclement weather. I met the mountain leeches with one of them just enjoyed sucking and staying inside my nose overnight (well, that sucking is an isolated case, it can only happen to a reckless me). Crazy it may be, I have managed to climb three peaks in one day, four peaks in one weekend and even eight peaks over three days. Yes, that's possible! I’ve seen varieties of magnificent mossy forest like those appearing in the movies. I have marveled at the formation of the pine trees. I have witnessed the different magnificent angles of the sunset at the mountaintops and eventually be more in love with it. And for the first time, I was able to touch and walk on the snow. I experienced a winter season not in any famous and prestigious cities but instead at the top of a mountain capped with snow. Furthermore, I have witnessed the kind of living that that locals are having as well as the culture that they keep. If I may add, the laughter and interactions with these wonderful people are priceless. Listening to their funny stories and insights as well as their sentiments is heartwarming and indeed a great experience. I reached different destinations that are really unknown to many. Most of them are really remote and cannot be easily reached. I learned and craved to travel more because of this eagerness to climb more mountains. To some people, it may sound cool. But to others, they find it weird. No, it isn't an addiction. I keep on telling a friend of mine. It’s passion! So I would cross the seas or fly to the other side of the country just to reach the target mountains. See? I would spend my remaining leave or use my long weekend just to tire myself. Yes, sweating myself has been my way of life for the past five years. Many are asking me why I am doing it to myself – making myself sweat and tired instead of having a fine, relaxing weekend at home. Why am I risking myself? What am I trying to prove? And so I say, I’m also tired repeating my reasons to every person asking why I’m doing this to myself. Can you think of the things that you enjoy the most, be it sports, a business, a painting, a pottery activity, a noble service or outreach and the like? Still you keep on doing it over and over again, right? If I could just lend them my eyes just to see what I see or my heart to feel the fulfillment and the inner joy I get. While posting in social media is quite amusing and it feels amazing to receive many likes, indeed the experiences gained from travel and mountaineering are far more valuable than anything. For me, these experiences carry valuable lessons that I never learned in school nor did I realize in any usual circumstances in day-to-day living. They can only be appreciated when experienced in a special way. 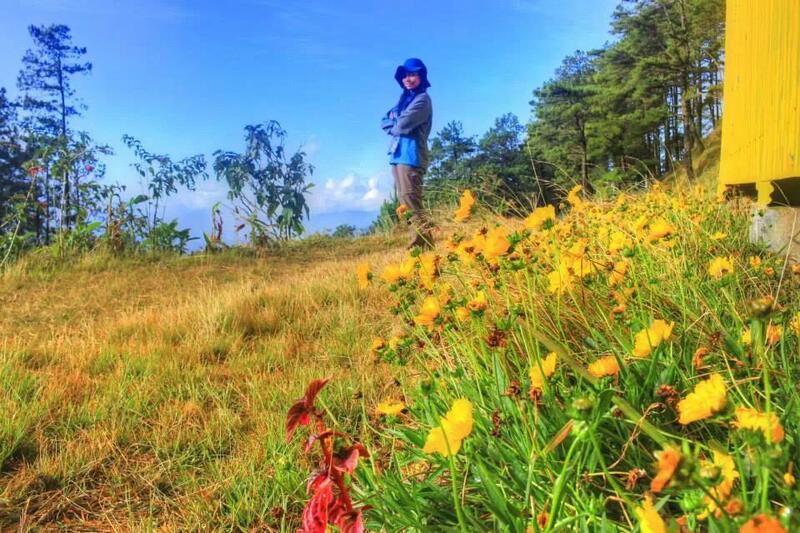 I realized that mountaineering are more than picturesque views that you can be amazed of nor the bragging right when one is able to reach the summit or complete a climb. Mountaineering is never far different from the journey of life. It mainly entails passion. One cannot complete the entire trekking if your heart is not for it. You could resent doing it and give up if you are not determined about it. Just like in life, the summit represents one’s dream. You are going nowhere and achieving nothing if you are not firm enough to pursue such dream. Climbing requires focus. It can distract you to many things that can lead you to harm. I remember doing a major climb, the terrain was sort of technical and slimy and because I was annoyed at someone during that time, I was too emotional and disturbed while descending. I almost twisted my knees when I lost my balance and fell off a descending trail. Same goes with life, when you lose your concentration to the things that matter, you can get out of track or cause you into trouble. Climbing entails faith, patience and positive disposition. There are lots of obstacles in the wilderness. Anything bad can happen - when you encounter strong winds and non-stop rains causing much inconvenience; when you keep on trekking with your feet swelling and yet you just can’t get to the target destination; when your fully loaded backpacks just keep on pulling you down and causing backaches; when ascending trails are unforgiving and it feels like there would never be no flat terrains anymore… ever! Oh, it’s so easy to be disheartened. Just like in life, it will always squeeze you. It will always test you. A lot of circumstances would seem to bring you down. But you can always choose to patiently wait for beautiful things, stand firm and believe that you can overcome challenges. It depends on you alone if you want to remain resilient. Climbing entails humility. When you are that strong, when you are getting everything you want, when you have such an adventurous spirit it feels like you can survive anything – more often than not is there an existence of pride that you don’t need the help of others. We’ll guess what? Along the way, surely you’ll come to realize the need for others. Much more if you’re on the thin line between life and death. Wouldn’t you call the Higher Being who gave your life in the first place? Now, it doesn’t matter how many mountains have you been to. At the end of the day, still it doesn’t matter. If you have all of these and all of that, and then what? Your existence doesn’t’ matter if you are alone in any victory. I tell you the journey is way no easy. Again, very similar to life. Climbing a mountain has always been tough. There’s always a risk. Lastly, travel and mountaineering have brought me back to my unconscious childhood dream. That is, to write, tell stories and share my experiences. I am glad they lead me back to my pen through blogging. For me travel/mountaineering and writing go hand in hand in my life. And these would lead me to a purpose. Well, that could be my purpose. And part of that purpose is perhaps to inspire.